Technology has been advancing so tremendously day by day. Driver less cars are one of the latest advancements in transport sector. You would be wondering how the car will operate? Is it really possible? Well, yes it is possible. There is a lot of technology involved in it. 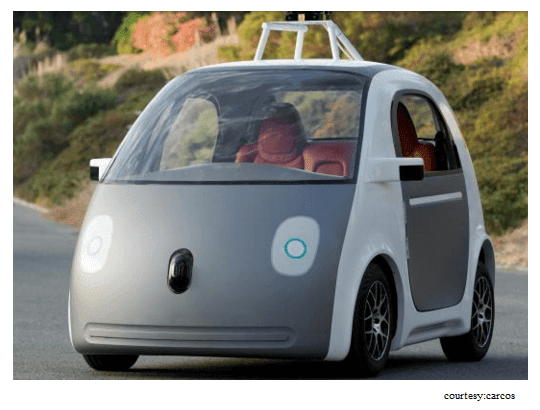 This driver less cars are popularly known as Google cars. Well, any new product to market has both positive and negative feedbacks. Some people feel it will be a great help in future. But contradictorily others also say that such technology makes people more dependent. Yes, both the arguments are true. From technology point it is a boon but from common people point it is not greatly accepted. 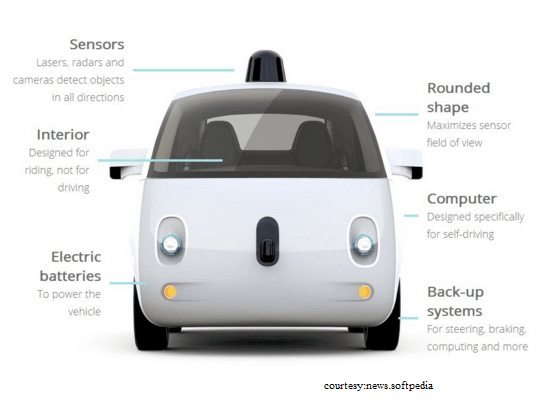 Google cars functions with the combination of software along with electrical component interfaces. They have many false proofing systems for driver safety aid. There are sensors present in the front to help in following the lane path. So that orderly movement of the vehicles can be ensured. If there is any obstruction like other vehicle or any pedestrians in the path of movement then the advanced emergency breaking systems come in to action. Computerised car steering wheel control upholds the driving along the lane and if there is any drift it automatically adjusts. Auto parking system empowers efficient parking of the car exactly in the allotted position safely. Adaptive cruise control enables minimum distance between vehicles. Satellite navigation system for detecting the location and its path. Self-driving cars are totally covered with sensors. For distance variation and obstacle detection the infrared sensors are used. Proximity sensors are present in the parking system for approximation of distance. For more efficient and accurate parking Gyroscopes and accelerometers are used. Reading the traffic signs and detecting cars and pedestrians around is achieved by the cameras and radars. There are certain pros and cons in this system. As of now these self-driving cars have travelled upto 300,000 miles without any accident. Improved safety: All the false proof systems enable safety at every level. The oversight will always be cent percent true. And irresponsibility of driver and other blunders caused by human drivers can be evaded. Less chaotic traffic: the organised and systematic movement of the cars becomes easy for efficient traffic maintenance. And ofcourse reduced chaos on the road. Reduced accidents: the advanced systems used here ensure enough safety for the travellers as well as pavilions. Parking scarcity: The parking system has been designed to ensure the correct usage of the parking place. So the parking place can be efficiently used. Weather conditions: Google cars has been proficiently working on the roads with normal environment conditions. When there are extreme snowy roads it may pose a danger as the lane path will not be clear. Dependency: Since everything is automated it makes people become more dependent on the technology. GPS satellite: the directions and location is highly dependent on the GPS. It possess a great difficulty if the signals go weak. Economy: The technology and equipments used very costly. So it does not become economically efficient. And ofcourse cannot be affordable by all the class of people. Newton’s Rediscovery of Gravity!! Eugene Augustine Lauste: From freeze frame to motion pictures An Invention that Shocked the World – The Story of Joseph Erlanger. What is nature of gravity?